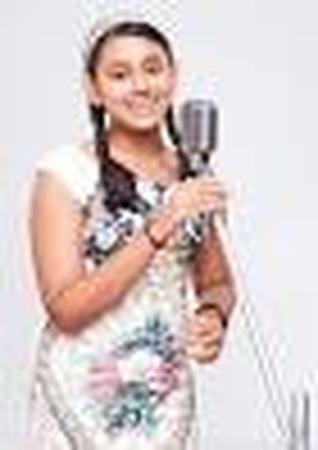 Fourteen-year-old Midnapore girl, Debanjana Karmakar, who reached the top four of Indian Idol Junior owing to her nightingale-like voice, is the best talent that you can have on the occasion of your wedding. Besides Indian Idol, she has earlier participated in shows like Sa Re Ga Ma Pa and Chhote Ustaad. Be it an engagement night, themed sangeet ceremony or a reception party, for a complete wedding entertainment she is the one that you should go for. Debanjana Karmakar is a wedding entertainers orchestra based out of Mumbai . Debanjana Karmakar's telephone number is 76-66-77-88-99, address is Sameer Complex, Saint Andrews Road, Bandra (West), Mumbai, Maharashtra- 400050, India..
Debanjana Karmakar is mainly known for Entertainment Services. In terms of pricing Debanjana Karmakar offers various packages starting at Rs 0/-. There are 0 albums here at Weddingz -- suggest you have a look. Call weddingz.in to book Debanjana Karmakar at guaranteed prices and with peace of mind.